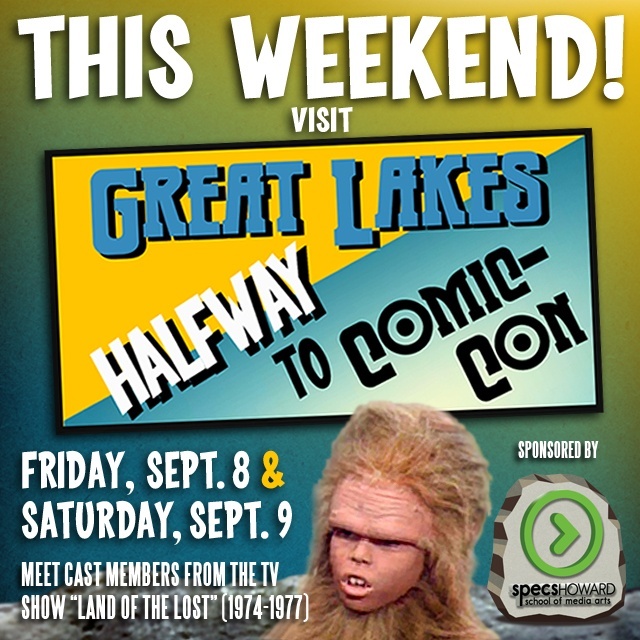 Great Lakes Comic-Con presents "Halfway to Comic-Con" on September 8th and 9th. This two day event was created to tide over Comic-Con fans until the group's main event in February 2018. Halway to Comin-Con will feature two characters from the 1970s TV show 'Land of the Lost'. Goers will have the chance to rub elbow with Wesley Eure (Will Marshall) and Phillip Paley (Cha-ka The Pakuni). Other special guests slated to appear are Al Milgron (Marvel Comics/Firestorm etc.) and Jason Moore (Arrow and Caliber Comics/Batman- Haunted Gotham etc.). All the details for the event can be found at greatlakescomicexpo.com . If you happen to make it out to the show, make sure to stop by the Specs Howard booth to learn about our programs in Graphic Design, Broadcast Media Arts and Digital Media Arts.